On Wednesday, we spent an exhausting day at Walt Disney World, the world’s largest theme park. Specifically, we spent 10 hours straight in the Magic Kingdom, pushing through the heat-induced crankiness and cyclical sugar lows to fit in what everyone wanted to see and do. There’s not much new to write about Disney World. Many of us have the same photo, standing in front of Cinderella’s castle, and similar stories about our favorite rides and characters. What makes it magical is seeing it through our children’s eyes, especially if it’s their first time there. 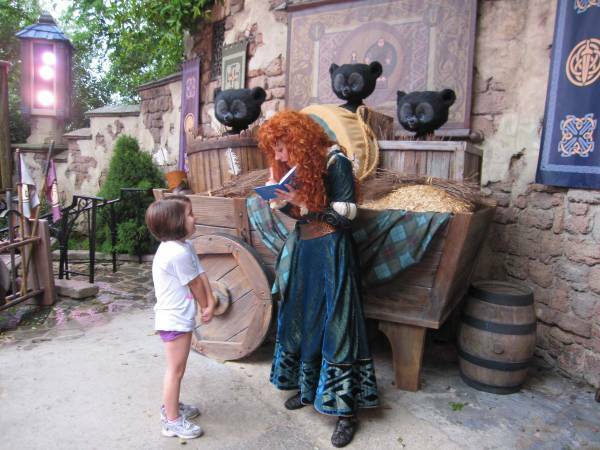 This was The Girl’s first visit to the Magic Kingdom. I spent more time watching her face than anything else.